Jeeps sophomore Tanner Voiers avoids being blocked in South Webster’s win over Portsmouth. 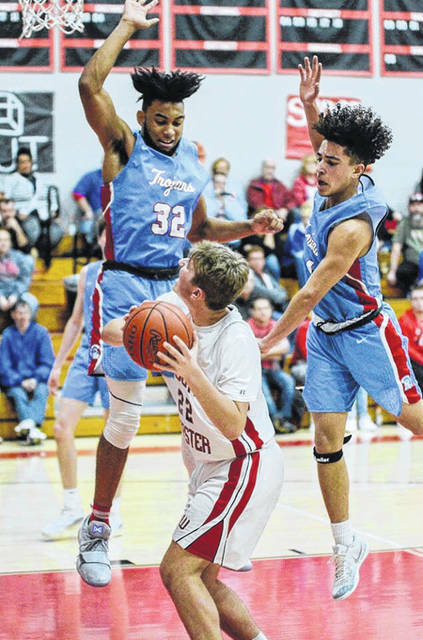 South Webster’s Jacob Ruth and Portsmouth’s Danny Lattimore dive for a loose ball in the Jeeps win over the Trojans on Saturday. South Webster’s Shiloah Blevins finishes at the rim in the Jeeps home win over Portsmouth Saturday. SOUTH WEBSTER – When the South Webster Jeeps are playing to their full potential, they’re a problem for whoever their opponent is. The scary thing is, as we creep towards the end of January, it’s unclear whether or not the Jeeps in fact have reached their full potential. 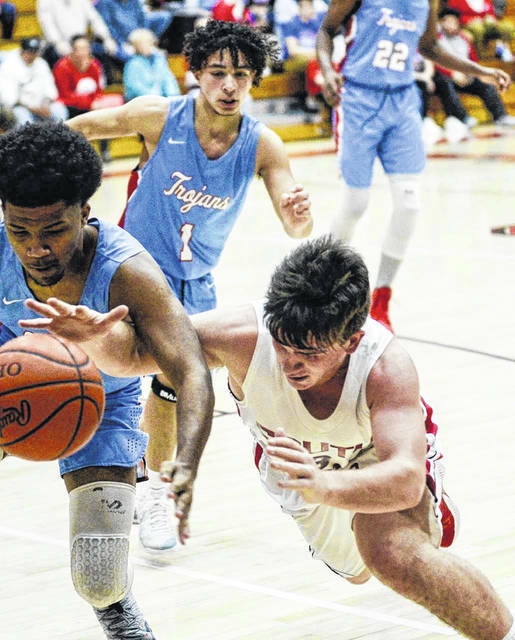 After a win Saturday afternoon over Scioto County rival, Portsmouth 68-54, and a road win over SOC II foe Valley on Friday 66-43, it feels as if the Jeeps are inching closer to the peak of their powers. It wasn’t a single player’s performance that really led the Jeeps to their win over Portsmouth, it was a full team effort. Four South Webster starters reached double figures on Saturday, led by Braden Bockway’s 18, 15 of which came in the second half, and Tanner Voiers 17, 12 of which came in the second half. Jacob Ruth, one of five seniors on this year’s South Webster team, came out ready to play Saturday. The senior guard scored nine first half points, a team high, before finishing the game with 11. 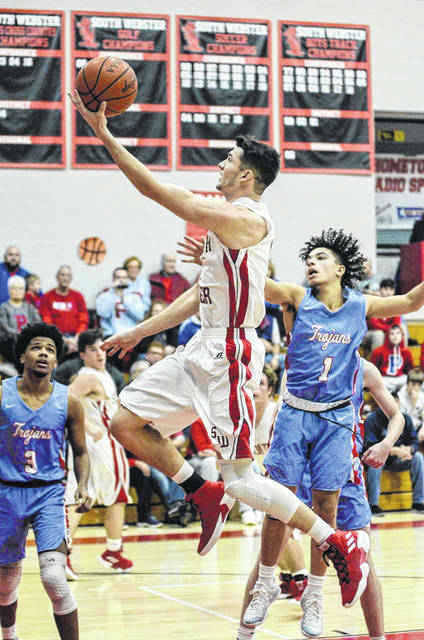 Despite only scoring four points, Jeeps’ senior Samuel Holstein’s impact on Saturday’s game was immense thanks to his ability to get offensive rebounds. Portsmouth was led in scoring by Danny Lattimore who finished with a team high 15 points. South Webster doesn’t play again till this Friday when they host Portsmouth West to try and gain some more ground in the SOC II standings. The most important thing for the Jeeps heading into their week without games until Friday? Rest, and of course, defense.